Objective:I know how to find the surface area of solids. 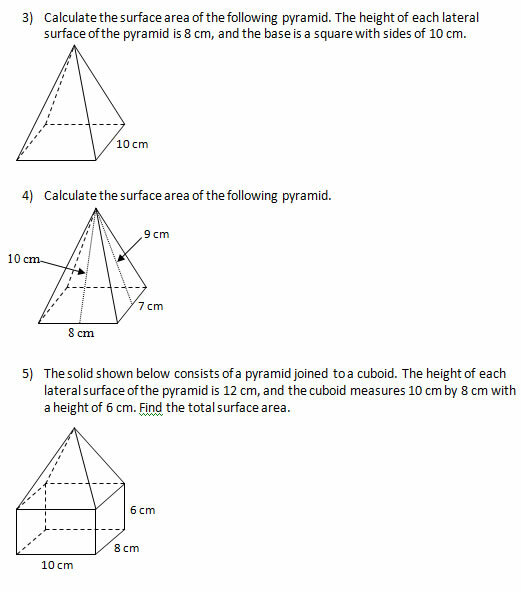 1)	If the volume of a cube is 64 cm3, what is its surface area? 2)	Calculate the surface area of a rectangular cuboid with length 5 cm, width 4 cm and height 6 cm.